I need to get something off my chest and it may, at this moment, be hard to believe, but Claudio Bravo is a very good goalkeeper. I know that you may be laughing at that comment after this weekend’s 4–0 shellacking at the hands of Everton, where Bravo failed to register an official save. Or with his current form resulting in 23 goals conceded while only making 26 saves (53% save success), but the reality is he does have an immense amount of quality at the position and has proven it in the past with Barcelona. However, in this moment with Manchester City, he is likely experiencing the most difficult period in his professional career. I don’t want to scrutinize Bravo’s ability, or lack thereof, to keep the ball out of the back of the net versus the importance of him being able to play the ball out of the back. 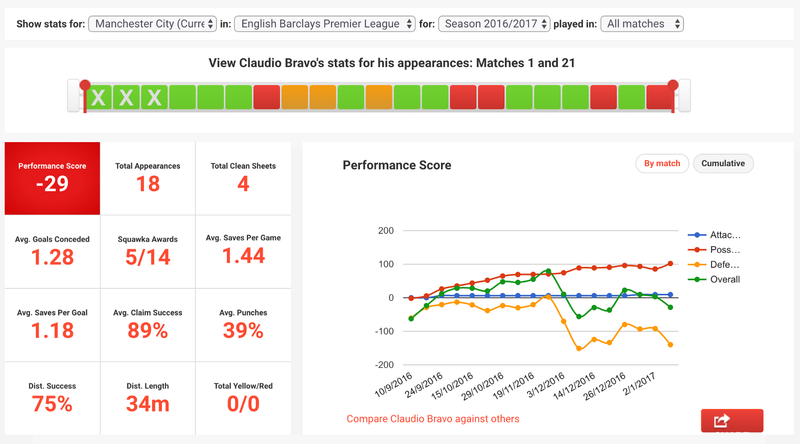 Instead I want to help you understand what may be contributing to Claudio Bravo’s poor performances over the past several weeks for City and why I expect they will only get better over time. When Bravo was at Barcelona he was part of arguably the best team in world football. They had a tactical identity and every single player knew exactly what was expected of them every day. They never had a large exodus of players. Instead, they had familiarity in the locker room — or, as we say in football terms, they had a “culture” — and when one player left, they replaced him with another player of equal or greater quality. It was then that new player’s job, as an individual, to learn the “Barcelona way” of playing and work his way into the lineup. This is one reason why Bravo did so well at Barcelona. He had a team around him who already knew what was expected of them. They had a tactical identity, they had a culture, and they had several chess pieces already in play. 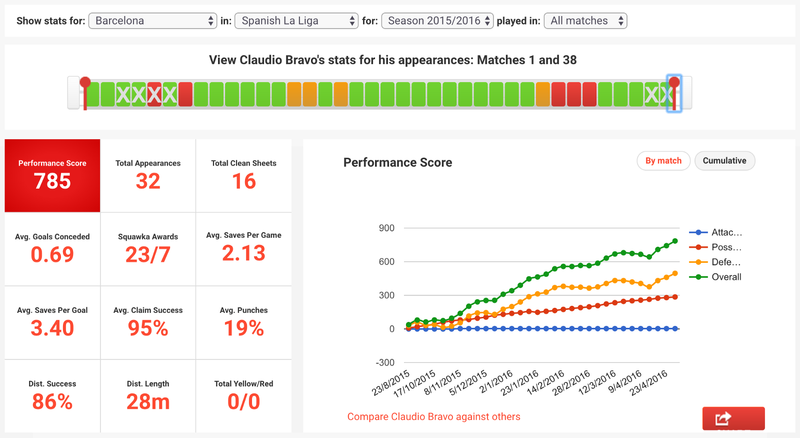 Individually, Bravo was the newest piece of that puzzle who needed to fit, and he did so spectacularly. Now compare that to what is currently going on at City. They have a new coach, with a new identity, and a new way of playing. Pep Guardiola needs to implement this with the entire squad, not just a handful of new players. Yes, Pep is one of the best managers in the world but when you are teaching an entire team a brand new way of playing it is undoubtedly going to take time and Bravo has found himself wrapped up in the middle of all this. Pep brought Bravo to City because he knew that Bravo understood the way he wants the team to play (in Pep’s system it’s important that the goalkeeper is the first attacker). However, he is the only one in the current starting XI who has any experience of working in Pep’s system. Therefore if John Stones, Nicolás Otamendi, and the rest of the team aren’t yet familiar with their tactical play in the new system it doesn’t matter how well Bravo understands Pep’s system. This puts Bravo at a disadvantage right off the bat. He isn’t coming into a new locker room that already had a culture and identity (they do, it’s just not Pep’s culture and identity yet), he is coming into a locker room that is lacking one of substance. Anyone who has had to deal with this in their career, me included, knows how difficult this is and how much it affects a team’s performances on the pitch. This, additionally, puts a lot of pressure on Bravo to be the catalyst for change within the group on the field of play, something that is hard for any goalkeeper to do alone. Also, remember that Bravo currently doesn’t speak fluent English at a position where communication is vital to the team’s shape and spacing all over the field. If you can’t communicate the manager’s message to the players in front of you it can only be expected that mistakes will happen because of the lack of cohesion and understanding between players. In addition to Bravo not being familiar with his teammates, he also isn’t familiar with the Premier League. Watching games on television every week is one thing—something Bravo admitted to doing while at Barcelona—but being thrown into the fire first hand is another beast entirely. Bravo came from a league that valued winning beautifully where he also had time and space on the ball. Now he’s in a league that high presses, is chaotic in nature, and where he only has a split second on the ball. Furthermore, every club — for the most part — cares only about the result, not necessarily how you get there. This creates obstacles on the field that he hasn’t routinely faced in his career. 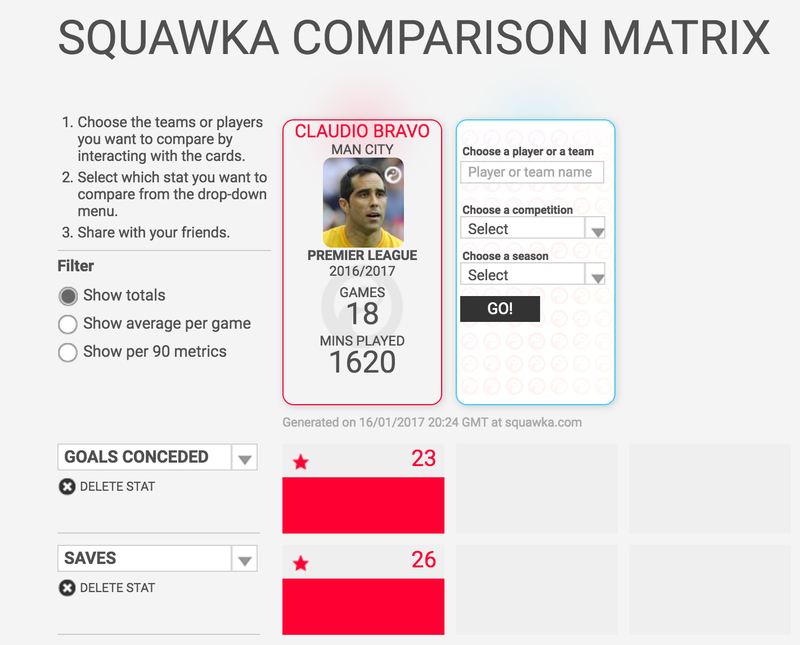 In a typical game, Bravo is now getting pressured more with the ball at his feet, having to kick the ball away more often, and getting challenged more when coming for crosses. It is no wonder that his average distribution success is vastly lower, his average distance kicked is longer and he is punching more balls than he did last season with Barcelona. All of these factors create a player feeling more pressure, stress, and more uncertainty in his own play, which inevitably affects the rest of his performance. You start to tense up when you distribute the ball, which leads to poor and inaccurate kicks. You start to worry about being hit while coming for a cross and drop balls you should have caught because you go up soft into a challenge. Ultimately you let yourself down in your most important attributes — your angle play and handling of shots — and end up giving up soft goals that you normally wouldn’t have. It’s no secret that Bravo’s ego has taken a hit while at City, and he looks uncertain in many different situations. As someone who has been through these moments of self doubt myself, I can tell you it isn’t fun, and it’s uncomfortable to watch because I know how terrible it feels. As a goalkeeper, confidence is such an important factor to your success on the field. If you feel like Superman you will be Superman, but the moment you start to think you are normal like Clark Kent, you are! Think back to when David De Gea came into the Premier League. He struggled for almost his entire first season adapting to the speed, physicality and expectation of the league after starring in La Liga. He was uncertain in the air while routinely flapping at crosses, gave up countless soft goals, and struggled communicating with his backline due to his language barrier. Sound familiar? He also had something that Bravo doesn’t, a team and coach — Manchester United and Sir Alex Ferguson — that already had an identity in the way they wanted to play in addition to a culture in the locker room. De Gea had a great platform to stand and rely on—something Bravo doesn’t—and he still struggled. Think of De Gea now. He’s cool, confident, and one of the best goalkeepers in the world. He rarely gives up soft goals and dominates his penalty area week in and week out. He’s the ideal of what you want in a Premier League goalkeeper. Even though the cards are currently stacked against Claudio Bravo and Manchester City, I do believe that his performances will get substantially better in due time. 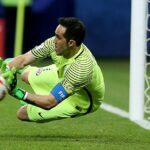 Bravo has the luxury of Pep’s trust in him and his ability, and won’t be heading to the bench any time soon. Therefore he will be given the most important luxury any goalkeeper can ever get: trust and time. As the team starts to gain a better understanding of the tactics, creates a culture of their own—in addition to Bravo gaining a familiarity with his teammates and the Premier League—his performances will blossom for City. 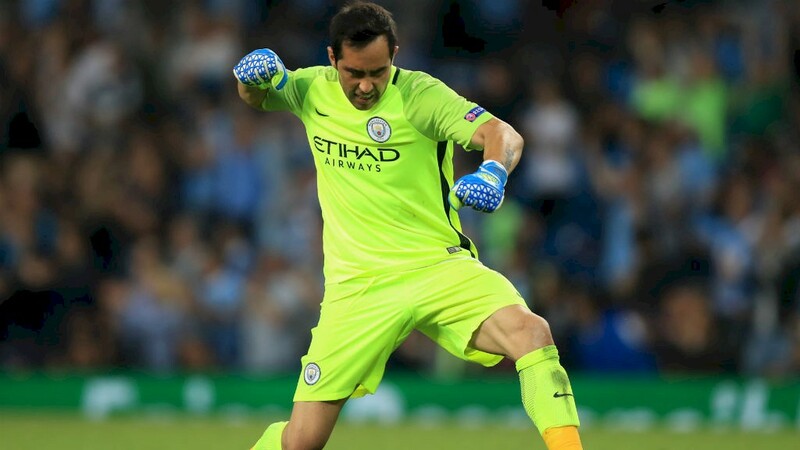 Then, and only then, will we once again see the confident Claudio Bravo that we once saw in a Barcelona shirt and his Manchester City struggles will become a distant memory.